Even though this particular item is considered a low-cost option, the level of proficient quality and high grade workmanship skills are never compromised. The care taken during a full refurbishing or a new axle is implemented in here as well. For customer satisfaction and confidence, we have extended out warranty for a full 1 year. All work is handled by trained professionals with above five years of mastered experience in working with the following merchandise. -The axle will be dismantled and inspected professionally for any structural deficiencies. -All parts will undergo cleaning but not painting. -All worn parts will be replaced. Every axle will be fitted with a new SKF quality bearing and bushes are to be replaced where necessary. Our years of veetran experience and stringent quality control allows us to offer to you a full 1 year manufacturers warranty on this rebuilt item. 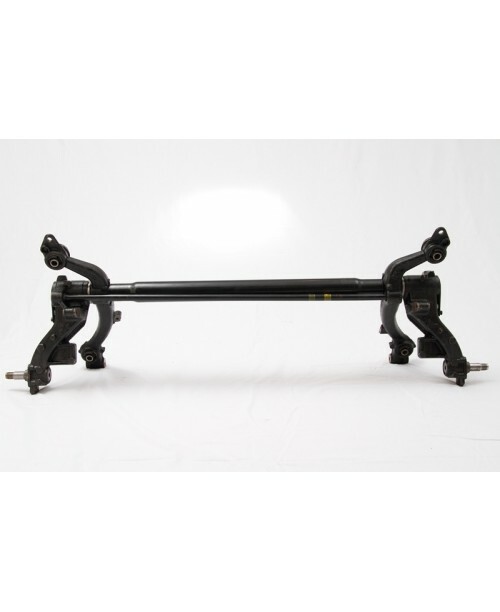 -Warranty on the axles will be levied for 1 year, starting from the date of purchase. -An axle failure will only be acknowledged if the axle is being diagnosed as faulty by a recognised garage, dealership or by ourselves.